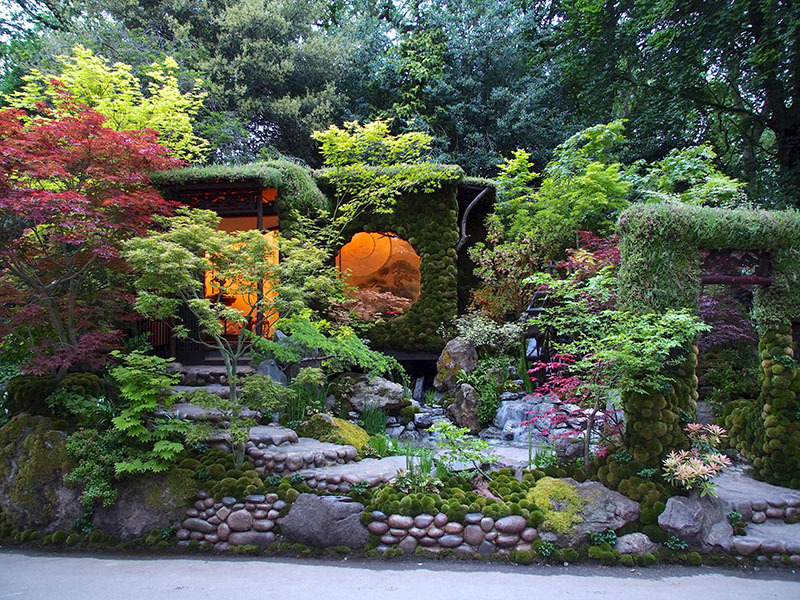 We enjoyed watching the documentary about Kazuyuki Ishihara, the Japanese landscape artist who recently won the Best Artisan Garden Award at the Chelsea Flower Show 2014. This garden has been inspired by the fable of Tongenkyo, a place of beautiful scenery that can help people forget their troubles. 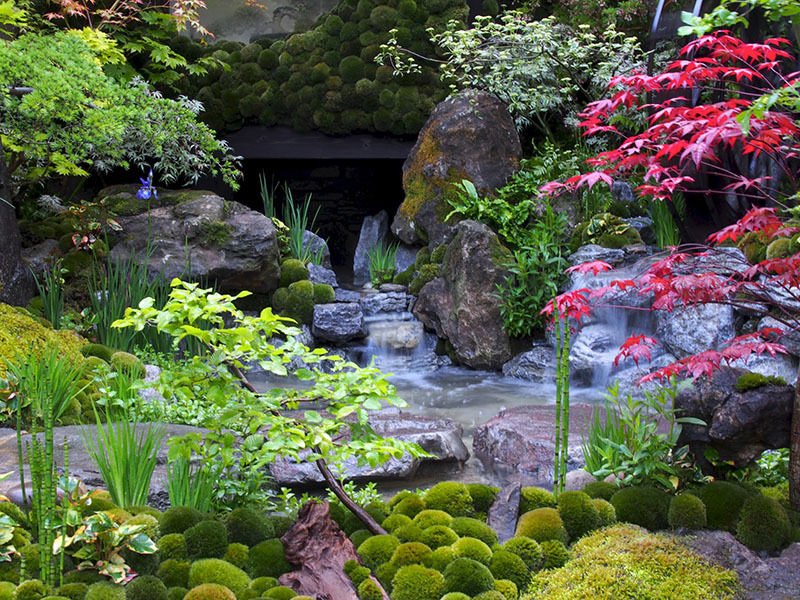 The combination of round river rocks with moss planted around them and then further carried throughout design, creates layers and gives more depth to the garden. In addition, so many different colours of maples were used to give an overall softer relaxing atmosphere. 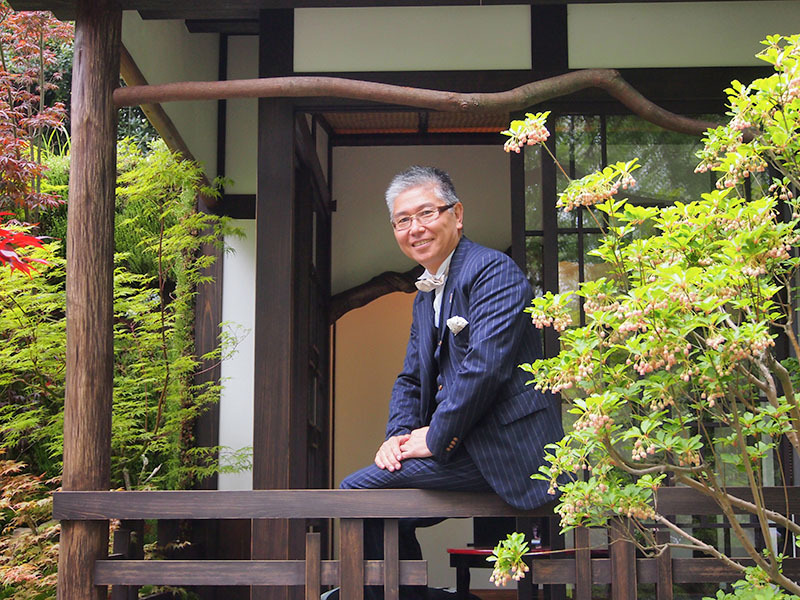 The sound and presence of running water is an important element in Japanese garden design, and is one that Kazuyuki mastered perfectly.